Garnish with coriander leaves and serve with Naan. 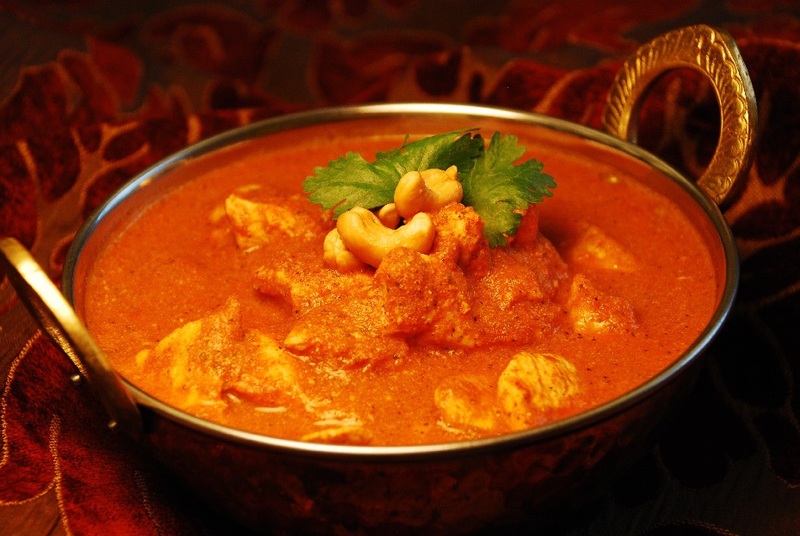 For an authentic and traditional cooked-over-the-coals flavour: When the Butter Chicken is cooked, make a small bowl shape with aluminum foil and place it on top of the curry (‘floating’ on it). Heat a briquette of charcoal on an open flame till red hot and gently put the charcoal in to the aluminum foil bowl. Cover the dish immediately. Remove the cover just before serving, discard the foil bowl and charcoal and serve. The curry will be infused with a smokey flavor! This entry was posted in Food and tagged Butter chicken, home recipe, indian, Murg Makhani, naan, spices by Miss P. Bookmark the permalink.